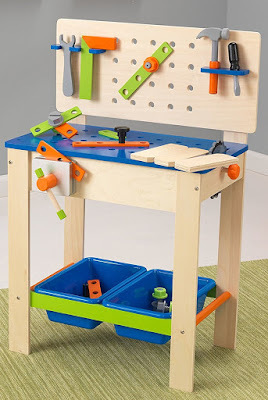 Head over to get this KidKraft Deluxe Workbench with Tools for ONLY $31.96! It's time to let those imaginations run wild and build a real masterpiece! Our Deluxe Workbench with Tools is jam-packed with fun details and interactive pieces that young kids are sure to love.